How We Do the VW-1 Flame Test. Are you familiar with the VW-1 Vertical Flame test? UL has recently updated their standards for UL 858 regarding the construction of home cooking appliances to require insulated wires to comply with the VW-1 Flame test for safety and fire prevention. The vertical wire flame test exams the materials’ ability to resist fire along a vertically suspended wire. Conductive has an extensive array of wires, including our specialty line of VW-1 rated high temp wires, designed with VW-1 safety standards in mind. 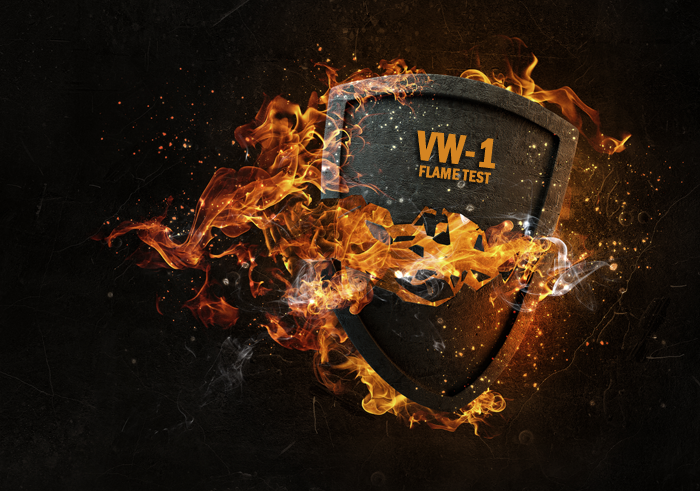 For more information on the VW-1 Flame test, check out our previous article. For Conductive’s specialty line of VW-1 rated wires, check out Alta, Alta-V, Vuurguard-150, and Hetta-Lite. What is VW-1 and Why is it Important?